The task of the Institute’s Management is the realization of the set goals, and it is our commitment to ensure the improvement of its efficiency and effectiveness by permanently reviewing of the System of Quality Management. All employees adhere to the highest ethical standards, including compliance with the law, standards and technical regulations and quality management system. 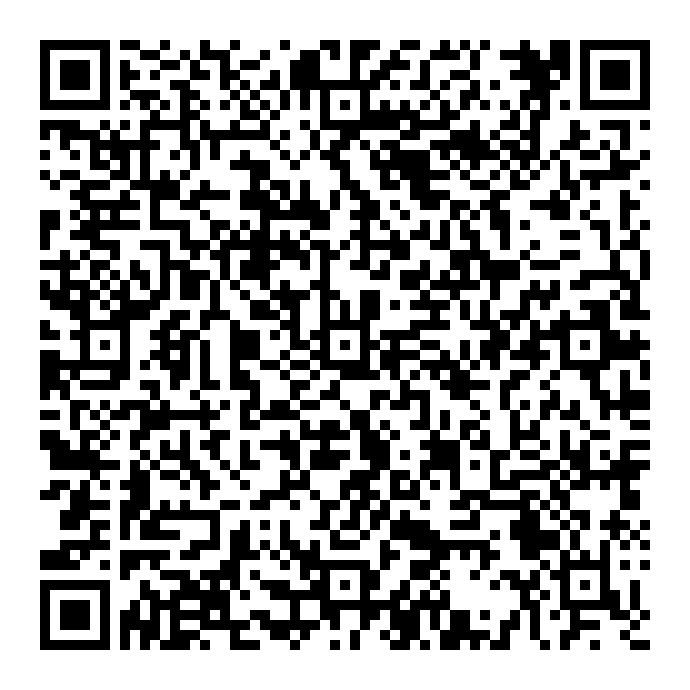 The established system of quality management at the Institute represents the matrix for the performance of key business processes and process of business support. Our efforts are harmonized and united within the documented and certified quality management system, harmonized with international standards series SRPS ISO 9001: 2008, and the professional competences of the Institute have been confirmed in accordance with the law, authorizations given by the competent ministries including scientific accreditation and the accreditation according to SRPS ISO/IEC 17025: 2006. 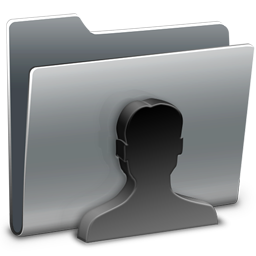 Designated Management Representative is responsible for the functioning of the quality management system and ongoing permanent supervision. Scientific workers and managers at all levels are obligated to contribute by personal example to continuous development of culture and the quality of work in the fields of operation and business activities for which they are responsible. The Institute is an institution financed by the business activities it performs on the market and such a way of doing business has determined the attitude of employees towards the realization of tasks. Namely, the Institute respects the principle by which we together are responsible for ensuring the implementation and realization of activities, as well as all together we share the results of our work in the form of wages. Each new worker who takes a job at the Institute is introduced with these principles. The market approach to work and business is stimulating to all employees who encourage each other to provide new business opportunities and take care of the realization of concluded contracts. Institute of Meat Hygiene and Technology has established, in 2001, a documented and certified system of quality and work according to the requirements of the former version of standard JUS ISO 9001: 2001, as the leading scientific research organization in the field of production and testing of foods of animal origin and other foods, as well as products of general use. 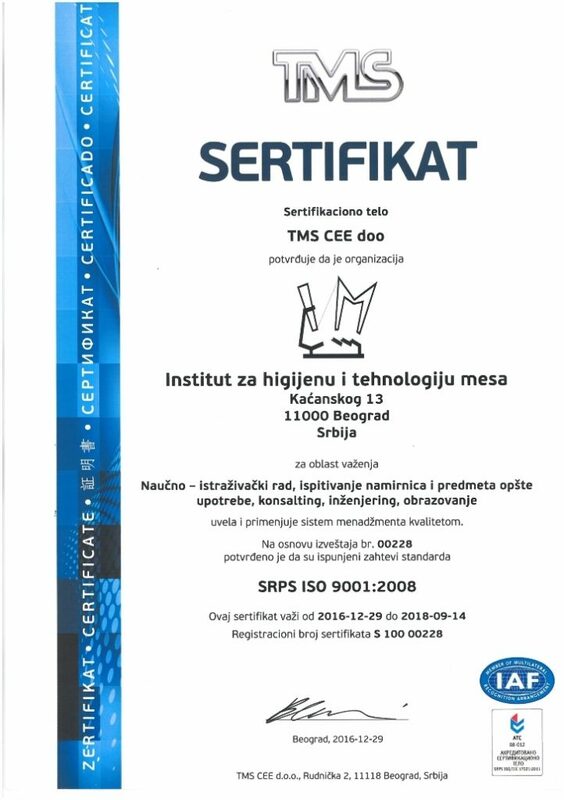 Certification of the business system, according to the new version of standards SRPS ISO 9001: 2008, was first performed on 21 January 2011, and the latest recertification of the management systems according to this version of the standards was in December 2016. 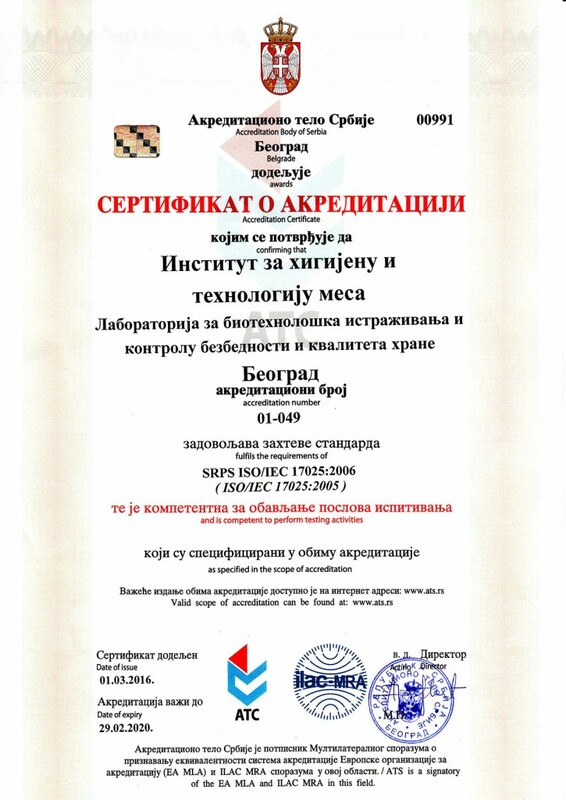 In accordance with the intention of acquiring the status of the organization accredited by international or national criteria in this area, at the beginning of April 2002, a decision was made to apply to the Yugoslav accreditation body (JUAT) request for the first accreditation of the Laboratories Division of the Institute (presently, the Laboratory for biotechnological development and control of food safety and quality) according to the requirements of the standard JUS ISO/IEC 17025:2001 and achieve one of the long-standing efforts and the development goals of the Institute which is related to the recognition of the competence of the work of Institute’s laboratories. This is because the Institute, several decades ago, as officially authorized laboratory for analysis, super analysis and quality control (meat, meat products and other food stuffs and products for general use) has followed global developments in the field of analytics and at all times was ready to respond to customer requirements and inspection authorities at home and abroad. In this regard, it should be noted that several decades before obtaining a certificate of quality system, the Laboratory of the Institute already had a procedure equivalent to the requirements of the first version of the standard for laboratories ISO 17025:2001. 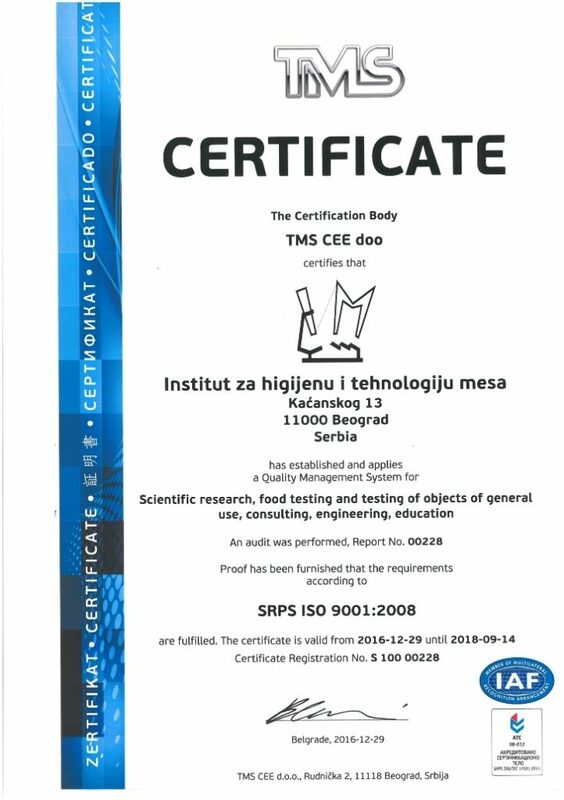 The first accreditation certificate, upon completion of the assessment in November 2001, and Decision on the accreditation number 01-049, was issued by JUAT on 27 December 2002. The Institute was among the first accredited according to the requirements of this standard and has maintained the status of the accredited organization for almost 14 years, and the latest reaccreditation according to the requirements of the version of standard SRPS ISO/IEC 17025:2006 was carried out in November 2015 with a period of validity of the certificate of accreditation until February 2020.